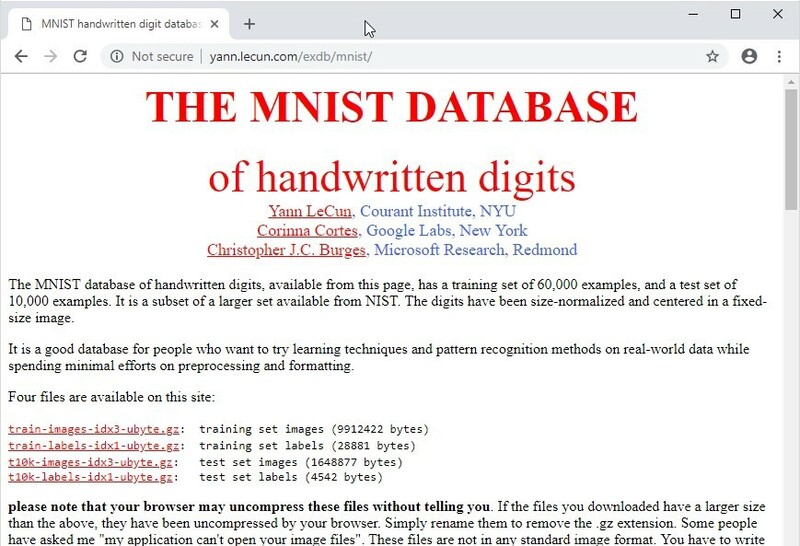 Anyone who tinkers with Machine Learning will at some point play with the celebrated MNIST dataset. It’s supposedly the Hello World equivalent of machine learning applications. How is this post different from the rest of the MNIST tutorials that you generally find on the Internet? 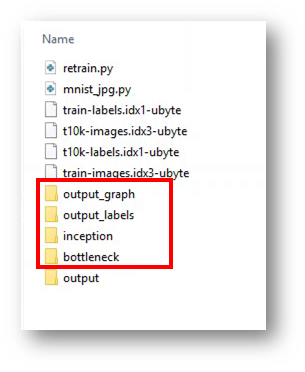 Use of Inception model— I didn’t see many people using Inception v3 model to do image recognition on the MNIST data set. Most of them involved building a network from scratch. The methodology I have used is transfer learning on the Inception model instead of creating a network from scratch. 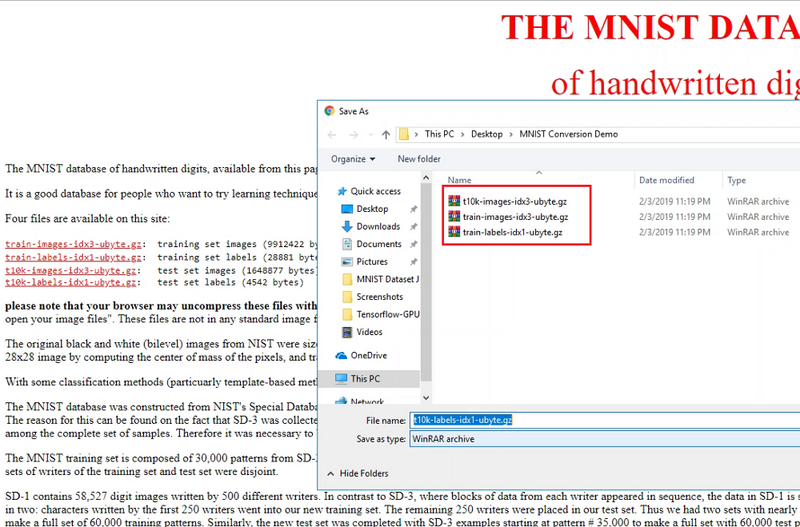 Conversion to JPG format — MNIST dataset is in IDX file format and most MNIST tutorials I saw converts an image to its MNIST equivalent. 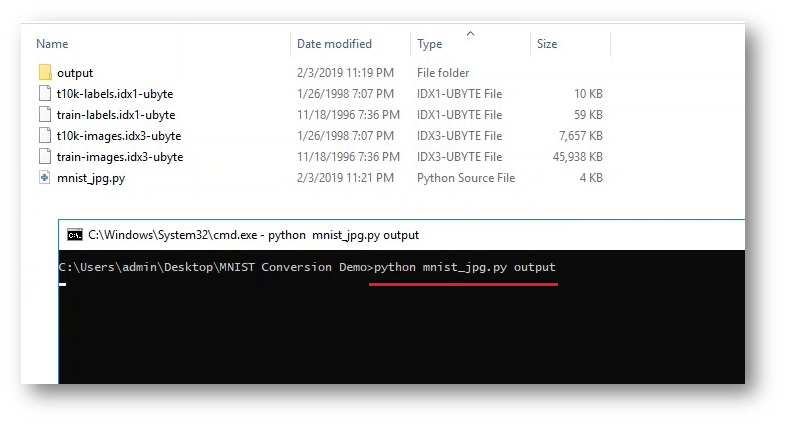 I saw just one that converts MNIST to PNG format. I also thought that in future if I make a front end for this, it might be easier to manage if the file is JPG. 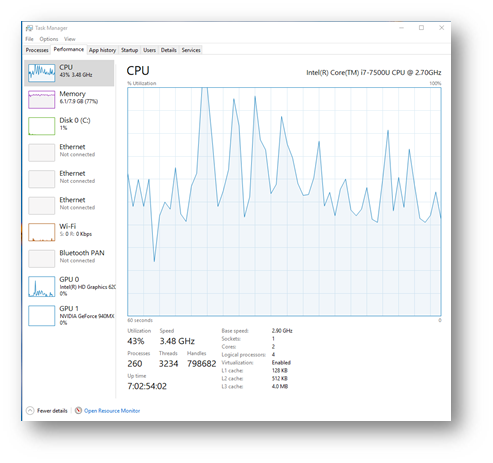 Note: This post assumes that you have already installed Tensorflow and I use a Windows 10 PC. For the more adventurous ones, the steps to do the conversion are listed below. 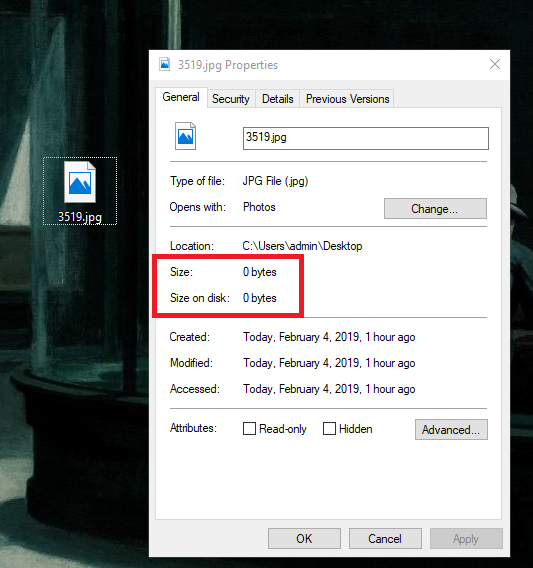 Save all the four files to a directory. 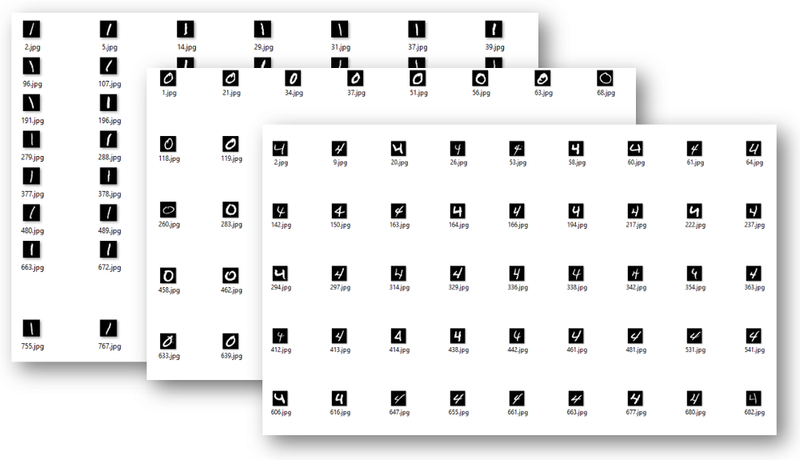 You will notice that all four files are compressed versions in .gz format. 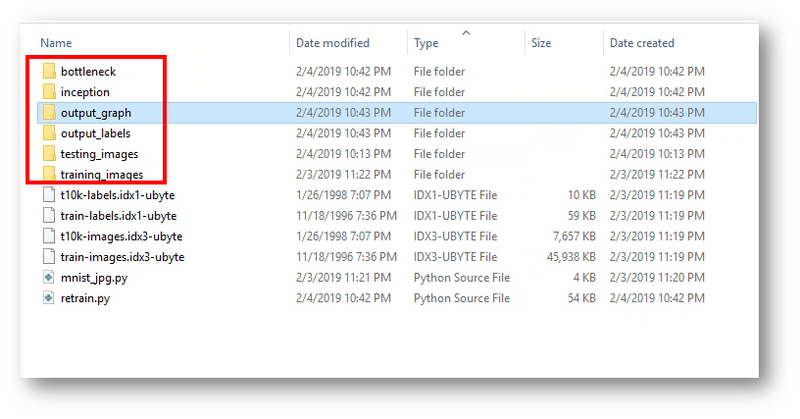 Next, create a folder named output in the same location. Download the MNIST_JPG.PY file from my repo link below. 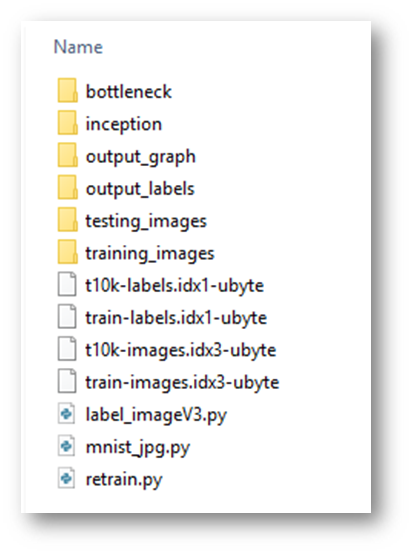 Note: For my convenience, I renamed these to training_images and testing_images respectively; so you will find these names in the screenshots that follow. The below is a single image opened in MS Paint as you can see, it is a 28 by 28 picture in greyscale. 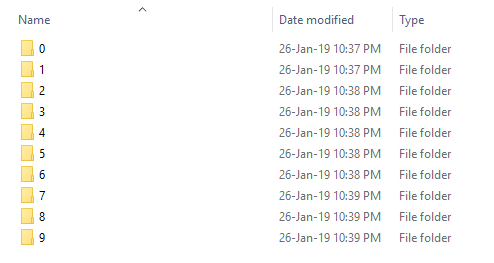 Next, re-name the testing and training sub-folders which were automatically generated under the output folder when we did the MNIST conversion. You will see the following message once the installation is complete. 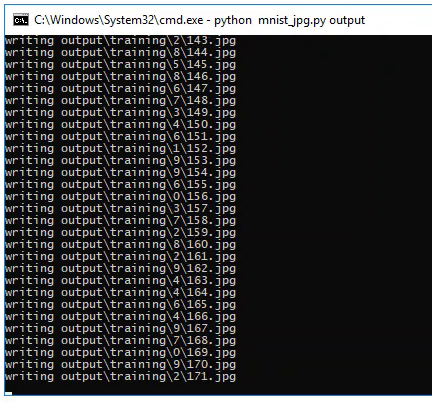 You can now run the script to training the Inception v3 model on MNIST images. Note: While running this script a second time, I found that it stopped when processing one of the files. 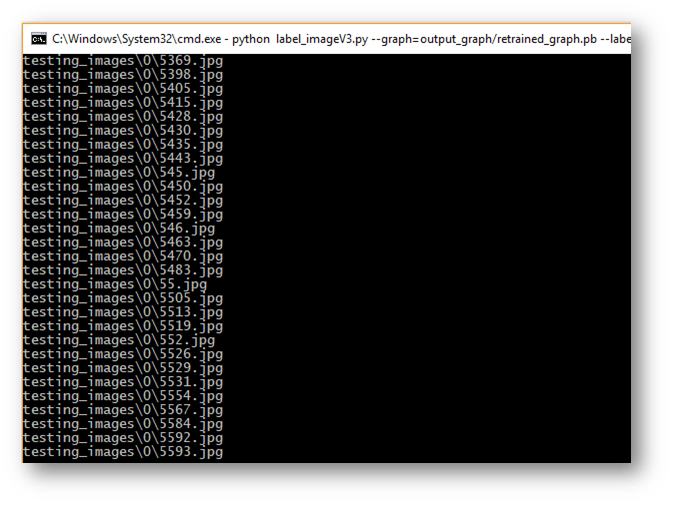 It turned out the image that stopped the process was a 0 kb image. 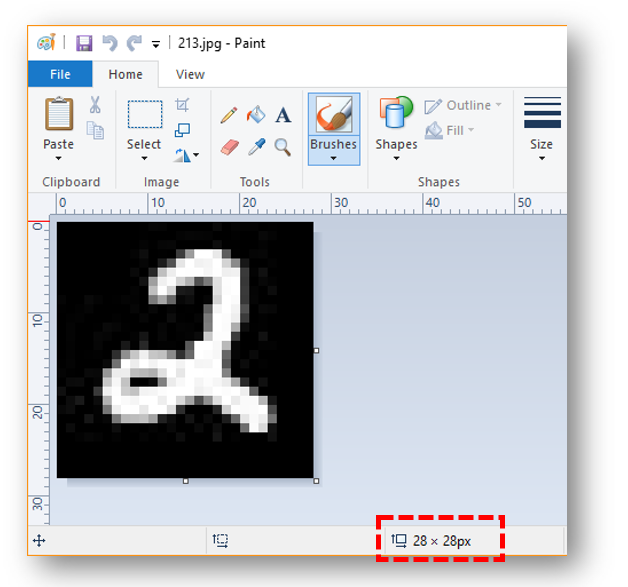 I assume this happened due to some issues when I performed the MNIST to JPG conversion. After I removed the file and ran the script, it worked fine. This file caused an error for me when I ran the script the second time to prepare this post. Once this is complete, you can check how accurately, the model performs on the test images. The Inception model is now trained. 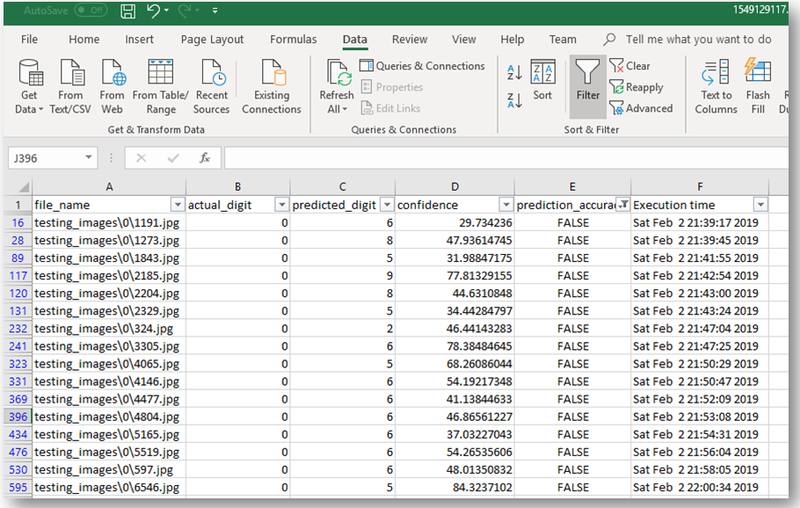 You can check how good the model is by checking how many of the test images it classifies correctly. For me this script took more than 24 hours to complete on my home Windows PC. Check out my CPU workload during that time. 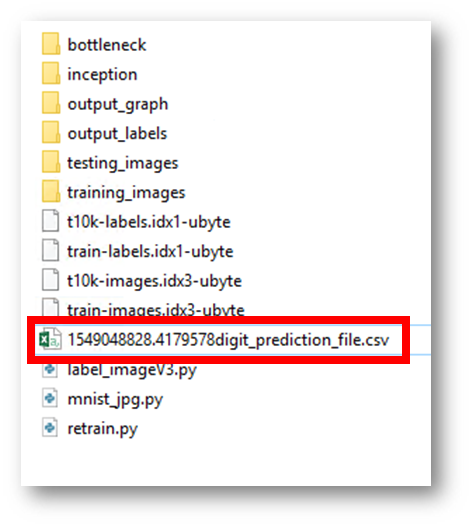 Once the script finishes execution, it will tell you how many images in the testing_images folder it was able to predict correctly. The script also generates a CSV file to show statistics about each label. This CSV is super useful for further analysis. My sample is attached. 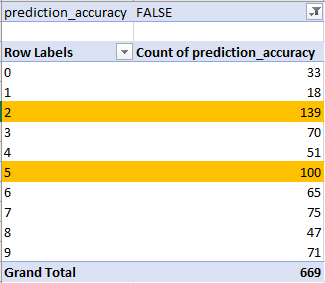 Overall, the model was able to classify about 93.31% of the digits correctly. Not bad I suppose. 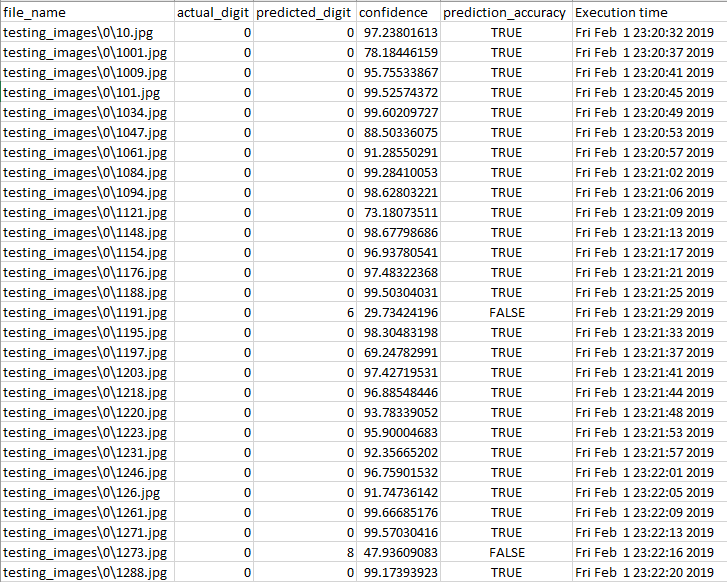 A quick analysis using the data in the CSV file shows that the model made most of its errors in digits 2 and 5 ! 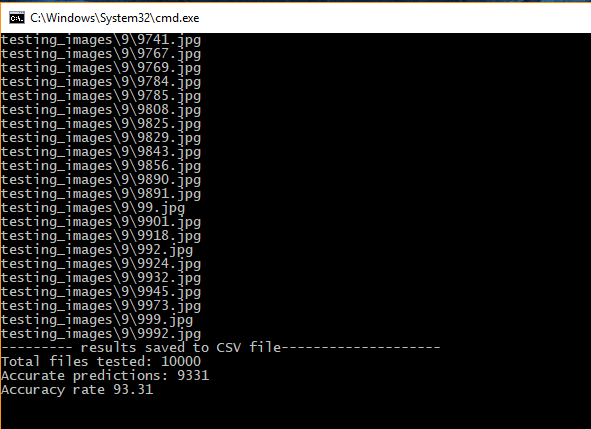 The CSV file also tells you which specific files were wrongly classified. I plan to spend the next few days trying to improve the accuracy of the model and then write up my experience.